Today, 8th January 2019, in Brussels took place the first meeting of the „Working Groups for Public Health and for Pharmaceutical Products and Medical Devices“. “We take this mandate with utmost responsibility and seriousness. We will continue our efforts to advance on the EU agenda the topics with impact and benefits for patients. The main purpose of the activities during the mandate is to guarantee access to health for all European citizens. We have a fairly complex legislative file that we have taken from our Austrian colleagues. I am speaking about the proposal for a Regulation on health technology assessment (HTA) for which we will make every effort for progress. We also propose topics such as antimicrobial resistance and patient mobility, which will result in improved quality of service and healthcare for European patients. We will also try to find solutions to improve prevention through vaccination. We do not want to waste time, especially since the European Parliament elections will be in the second half of our mandate. That is why we started the work today, when we organized the first health meeting in Brussels with the technical teams and health attachés of the EU member states“, said the Health Minister Sorina Pintea. According to the agenda of today’s working meeting, in the first part of the day, the Ministry of Health presented to the representatives of the Member States (MS) present at the joint meeting of the „Public Health Working Groups and for Pharmaceutical Products and Medical Devices“, the priorities of Romania, both the general ones, as well as the sectoral priorities in the health field, but also the timetable of the events scheduled in the field during the PRES RO mandate. In the second part of the meeting, the MS experts continued the technical negotiations on the legislative file on the proposal for a Regulation on health technology assessment (HTA) and amending the Directive 2011/24 / EU (HTA Regulation). The Regulation aims the way in which the files for new medicines introduced in Member States are evaluated. “Romania’s objective for this file is to re-launch the talks, leaving for the time being the articles that have been the subject of negotiations during the PRES AT. Thus we will focus on the negotiation of art. 12 to 18 of the proposal, specifically on the topic of Joint Scientific Consultation. We began with a presentation of how this process is taking place before the clinical assessments within the EUnetHTA network, in order to have a starting point in the discussion. Further on, starting from the point of view of the Member States, we will continue the negotiations for the identification of the common points in order to further develop a progressive text”, said Sorina Pintea, Health Minister. 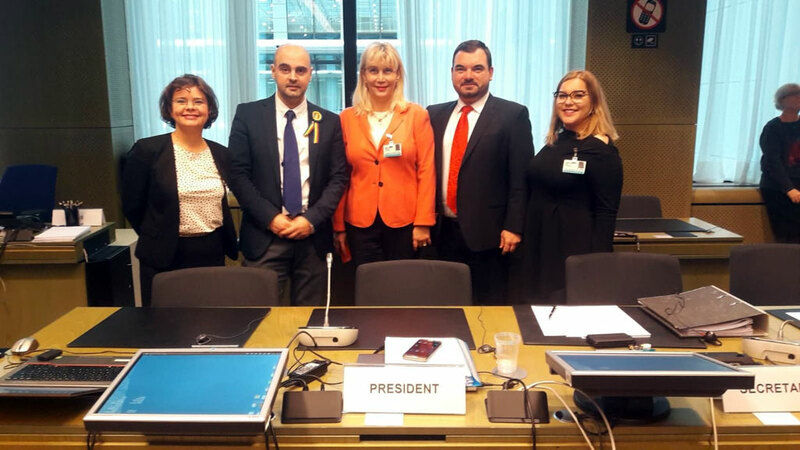 The Romanian’s presidency health program includes, in addition to the HTA legislative proposal for a Regulation, five priority themes: antimicrobial resistance, vaccination, patient access to medicines, patient mobility in the EU and eHealth.